Utilizing a unique Self-Charging solar power system, this sporty analog/digital combination model provides plenty of functionality. A host of features such as 48-city world time, 5 alarms, stopwatch and dual countdown timers make this a versatile timepiece for almost any sport outing. 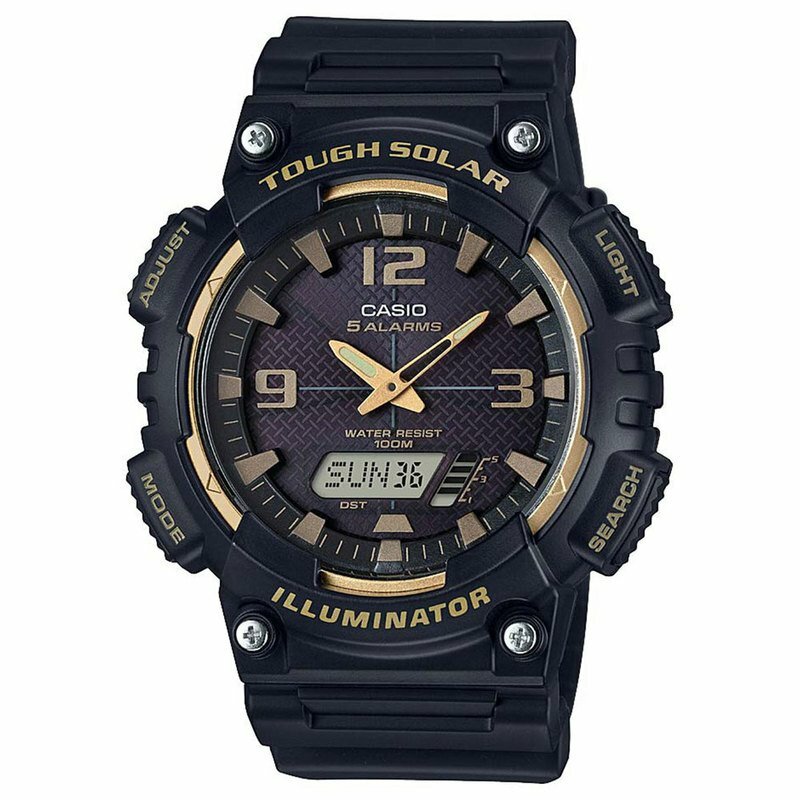 Black resin band, solar digital analog watch with black & gold face.